Recently, my friend narrated a story to me which shook me to the core and instigated me to write this blog. A week ago, she witnessed a close relative of hers scolding and hitting his 10-year-old nephew over the fact that the child had started using abusive words in his day-to-day conversations. She added that the outrageous part of the scene was that the man is a habitual user of abusive words himself and was also reiterating offensive phrases while scolding the child over doing so. This is where it hit me yet again, how messed up we are as a society! Such is the level of hypocrisy in our society where the elders, not only expect from, but also direct the youngsters to stay pure and away from all sins and bad habits. On the other hand, they themselves are not willing to give up any wrongdoings or adjust their behaviour just because they, being older in age, are entitled to do everything, while for kids there is good and bad, black and white, right and wrong, evil and virtuous and so on. I can narrate countless examples where elders order children to perform actions they themselves are reluctant to do. Many a times, I come across parents who command their children to offer their prayers on time but when there is a call for prayers from the mosque, the same parents are either busy watching television or engaged in some other activity. 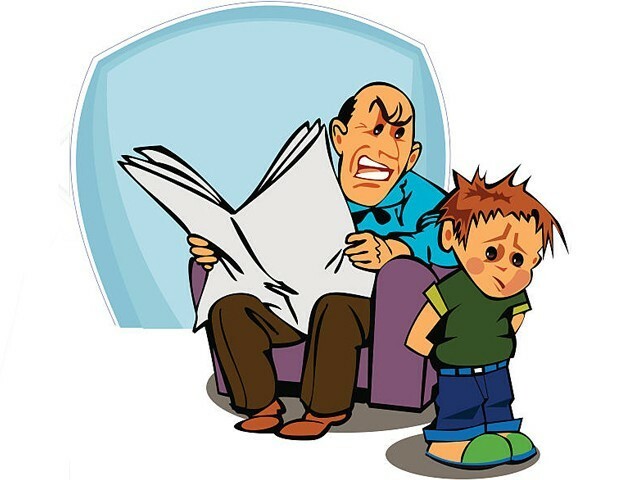 Parents who are habitual liars are observed teaching their children to stay away from lying and warning them of the intensity of the sin, and the list of such instances go on and on. The awful part in all such scenarios is that such elders and parents have no realisation of the following basic universal truth: actions speak louder than words! According to Developmental Psychology, the day-to-day behaviour of parents shape the way their children will act for the rest of their lives. This is called influence of parent socialisation in psychological terminology. In simple words, parents are the direct teachers of their children who are dependent on the former for knowledge that is necessary for survival. Parents also influence their children unintentionally through their daily actions. Moreover, children imitate the actions of those around them, especially adults. So the ultimate thing for parents is to behave in a way they would want their child to mirror. Various researches and studies have been conducted in the field of psychology on the effects of parents’ actions on their children. Most of them indicate that children are like sponges – they absorb everything and replicate almost every action performed by elders around them, incorporating it into their lives. Hence, it is imperative for parents to set the right examples for their children because all their actions are being modelled by them. The quagmire of our society is that every parent wants his child to be the best but is not ready to correct his or her own actions. Most brown parents believe that they can control their child through scolding, blackmailing or hitting him or her but that’s the temporary solution. In order to make their children adopt good habits for the rest of their lives, parents need to keep track of their own actions and its impacts on their children. If a man has been smoking for his entire life, he cannot expect his child not to reciprocate the action. A mother who is in the habit of lying on and off cannot expect her kids to stay honest with her. An aggressive father cannot stop his children from being aggressive by merely warning them of the cons of aggression. Coming back to the story, I mentioned in the beginning, the man who wants to stop his nephew from using abusive words, should do so himself in the first place because there will come a time when his nephew will point fingers at him and tell him on his face that he has adopted this habit from his elders. Such behavior places us in the category of hypocrite (munafiqs) and we must remember that after mushriqs it’s munafiqs/hypocrites that Allah detest most. We all should watch inwards at ur behaviors thann examining other under a microscope, and this goes for both men and women when we lie, steal, curse, back bite, be greedy and mean and rough with others and especially our elders and in-laws.